Allow our therapists to apply a skilled, customized therapeutic massage that you won't find anywhere else. We offer spa lockers, spa robe, slippers with every massage. 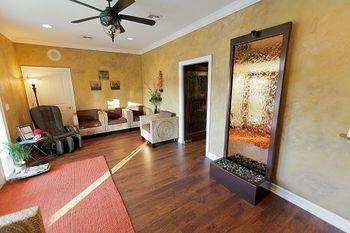 Upgrades include deep tissue, aromatherapy, reflexology, body scrubs. Call for more details and special offers. M: 8:30 a.m. - 4 p.m.
Tu: 8:30 a.m. - 4 p.m.
W: 8:30 a.m. - 4 p.m.
Th: 8:30 a.m. - 4 p.m.
F: 8:30 a.m. - 4 p.m.